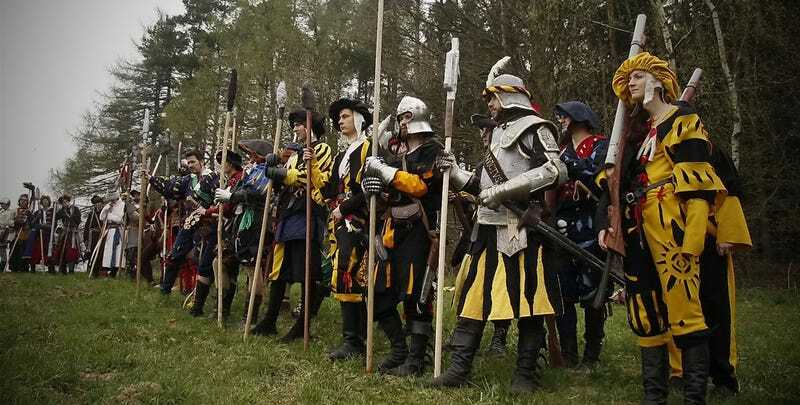 In the wilds of the Czech Republic, a massive group of Warhammer fans have gathered, dressed up and gone to war. Not on the tabletop. On a "real" battlefield. Smrtihlav 2014, held on the grounds of Orlík Castle, saw the forces of The Empire do battle with the armies of Chaos in an enormous LARP festival, which we can get a look at in these photos by veverka983, Lukas Makovicka and Martin Janča. I've posted some highlights below, but those three galleries are huge, and definitely worth a look.